I simply cannot wait to see the new THE SARAH JANE ADVENTURES story “The Death of the Doctor.” Not just because it will feature Sarah Jane (Elisabeth Sladen) meeting 11th Doctor Matt Smith and former companion Jo Grant (Katy Manning), but because the story will address the issue of how many regenerations the Doctor is allowed. First of all, it is important to note that the Doctor does not claim he is immortal. Since I am in the USA, I have not yet seen the episode in question, but according to this report, Clyde asks the Doctor how many times he can regenerate, and the Doctor says there is no limit. That’s it. No limit to regenerations. This official lifting of the 12-regeneration limit does not make him immortal. It merely reverts the series to its original position on regeneration, which is that Time Lords can be effectively immortal – if they are lucky. There is no indication that permanent death has been taken off the table: If both of the Doctor’s hearts are destroyed, he cannot regenerate. If he is drowned, he cannot regenerate (that one comes from “Turn Left,” penned by Russell T Davies, who wrote the new SJA episode in question). So, everyone who thinks it’s important for the Doctor to put his life on the line, relax. In the words of former story editor Douglas Adams, Don’t panic. The official policy on regeneration has been open to interpretation practically ever since it was introduced in the First Doctor’s final story, “The Tenth Planet.” Was this process a “renewal” or a complete change? (It was later established that every cell in the body is reborn, but let’s leave the technical discussion for another day.) 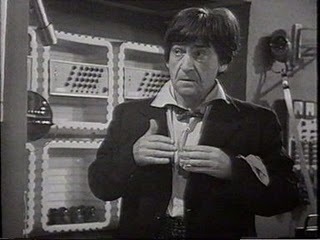 The earliest onscreen statement about the restorative powers of regeneration came when the Second Doctor (Patrick Troughton) remarked that Time Lords can live forever, “barring accidents.” It was Chancellor Goth who stated, in course of “The Deadly Assassin,” that he encountered the Master on the planet Terserus near the end of his 12th and final regeneration. 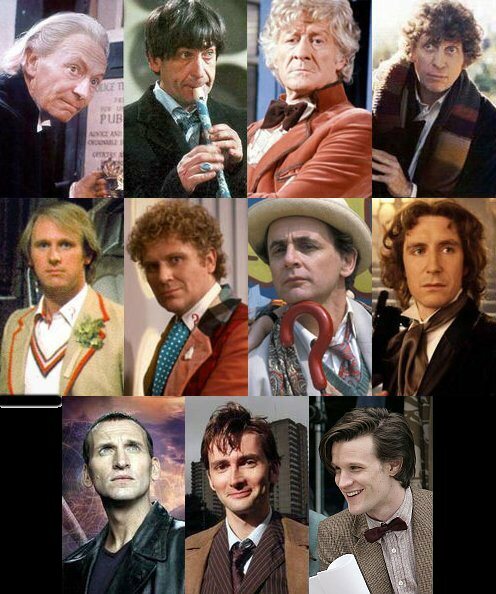 From there sprang the “rule” about Time Lords only being allowed 12 regenerations, resulting in 13 personas. Now along comes the 11th Doctor, who mentions that Time Lords are immortal. Meaning the 12-regeneration limit is no more. (Assuming it ever “really” existed before.) 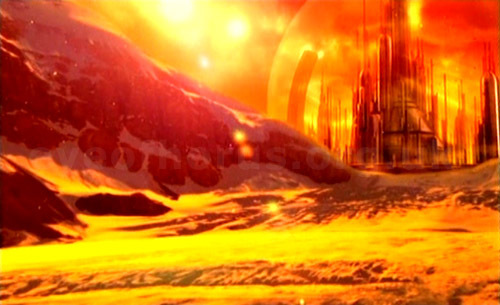 The simplest explanation is that with Gallifrey gone, the strictures of Time Lord society no longer apply. In other words, with the cat’s away, the mouse gets to play. Who’s the stop the Doctor from regenerating all he wants? 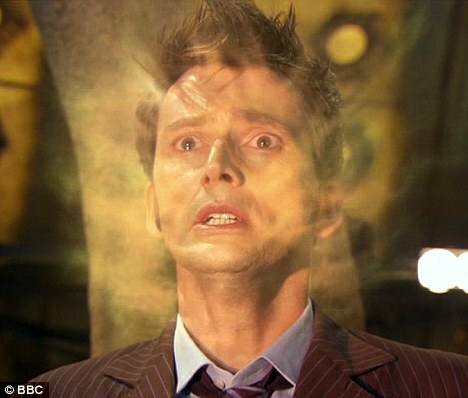 Remember what the 10th Doctor (David Tennant) said about regeneration: “Even if I change, it feels like dying. Some new man goes sauntering away, and I’m dead.” This explains why each incarnation of the Doctor has been reluctant to die. You might expect him to be much more cavalier in his adventuring, secure in the knowledge that he has regeneration as a backstop in case anything goes wrong. But it turns out that, from the Time Lord’s point of view, each version of the Doctor is snuffed out. His memories live on, but his persona is lost. Each new incarnation has both a completely new appearance and a new personality, making each version of the Doctor a new man. That previous version is dead. Of course, the “new” rule has ignited a firestorm. (When it comes to fandom, what doesn’t result in epic conflagrations?) Part of the outrage seems to be swirling around the idea that the Doctor mentions this fact “in passing,” or “casually,” or in some other seemingly informal manner. Well, the Doctor has always been rather flip when comes to portentous moments. What was he supposed to do: Announce it from a golden throne floating in the air? Put up a Web page about it? I think a huge part of the problem with this… er, “change” is that it bumps up against a desire by “the fans” to feel like there is a cohesive, planned mythology around the series; that, much like LOST, the 40-plus year tenure of DOCTOR WHO is part of a design and that it all makes sense. Well, the truth is, there ain’t no plan. Everybody creating the series was making it up as they went along, concentrating solely on telling the best possible story under the circumstances. It’s true: they were faking it. That’s why there are multiple explanations for the sinking of Atlantis. That’s why the Doctor suddenly sprouted a second heart. That’s why there are two clashing explanations for the Loch Ness Monster. That’s why people think the events of “The Brain of Morbius” hinted that the Doctor had many incarnations before the William Hartnell version. That’s why the Doctor is half-human. That’s why the Second Doctor asserted that Time Lords can live forever. 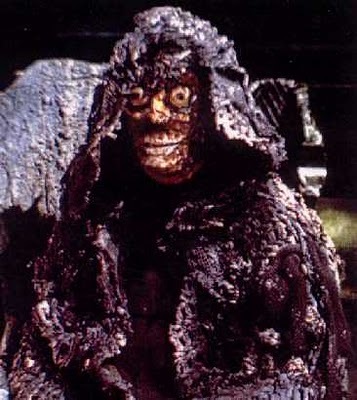 And that’s why, in “The Deadly Assassin,” writer Robert Holmes decided to posit a 12-regeneration limit. He needs a reason for the Master to be desperate. And, let’s face it, who hasn’t wondered “What happens at the end of the ‘final’ regeneration?” Well, if regenerations are unlimited, then how would we ever know what happened during the ‘final’ one? So Holmes decided to designate an end point so he could tell his story. And, no, he absolutely was not thinking about what shackles this might place on somebody trying to write for the series 30 years down the line. He needed to get out stories in 1976, with no guarantee that the show would be on in 1978, let alone 2011. He told the best story he could at the time. It was only later, when fandom came along, that we decided to try to weave all the disparate threads of story ideas into one cohesive canvas. (BTW, I’m not suggesting there were no fans in the classic era; I’m just casually referencing today’s more monolithic fandom.) And then get indignant when some threads were left hanging. It’s like taking apart a lawn mower and reassembling it as a hovercraft, only to complain when there are a few screws left over afterward. It was never supposed to be a hovercraft. And DOCTOR WHO was never supposed to last 48 years. It just happened. The best that we fans can do is try to mold events after the fact into a rough shape, and try to come up with ways to explain elements that we feel need justification. In order to accomplish that, every fan has to pick and choose what to include in his or her personal vision of series canon. For example, in order for my version to work, I have to disregard the climax of “The Twin Dilemma,” in which the Time Lord Azmael willed himself to regenerate a 13th time, when he has no regenerations left, thereby killing himself after his body was possessed by the villainous Mestor. That’s just the way fandom has to operate. A recurring theme with the Master has been his desire to secure more regenerations. It has even been said that he wishes to take over the remaining lives of the Doctor. This clearly means that such a thing is possible (no matter how unlikely is sounds that the Master could assume the Doctor’s lives). I tend to think of this as his quest to get another “license” to regenerate. (I’m sure it’s not as simple as a little card, but work with me here…). The Time Lords offered the Master another regenerative cycle if he rescued the Doctor in “The Five Doctors,” so they clearly have the power to transcend the 13-persona limit. Finally, raise your hand if you honestly believe that, when the day comes and the actor playing the 13th Doctor announces he will not return for another series, the BBC will throw up its hands and say, “Oh, well, that’s the end of DOCTOR WHO – the guy is out of regenerations.” Do you think the BBC will allow this particular goose to stop laying golden eggs because of a line of dialogue in a fictional story from 34 years ago? There is no way that will happen. I’m sure every fan has an idea in his head for how to get around the regeneration limit, and maybe that’s part of the problem. Some fan may want be seen as the savior of the series; the “guy who figured out how to get around the 13-persona limit.” And now that’s not gonna happen. Nobody wants to see the series end when that 13th actor calls it quits. We all want to see what happens next. As the Fourth Doctor himself famously stated, “that’s the problem with regeneration: You never quite know what you’re going to get.” Or, now, how many times you’re going to get it! This entry was posted in Cult TV, TV and tagged 10th Doctor, 11th Doctor, David Tennant, Doctor Who, Elisabeth Sladen, Matt Smith, Russell T Davies, The Sarah Jane Adventures. Bookmark the permalink. Great analysis. !! I like that you point out that the 10th Doctor said that regeneration still feels like dying. Meanwhile, we’ll just have to wait and see how they handle it before we go flying off the handle. Also, I can’t wait to see Jo Grant and Sarah Jane Smith with the 11th Doctor. Thanks for the kind words. As much as I miss the 10th Doctor, I have been totally won over by the 11th. I am on the edge of seat with anticipation for the “Death of the Doctor” episode of THE SARAH JANE ADVENTURES. Getting to see Jo again is icing on the cake!! Jo Grant’s conversation with the Doctor brought tears to my eyes. However, with all the “memory” stuff, they did not actually show flashbacks of Jo and Sarah Jane with the old Doctors. And of course that line about 507 regenerations was just an off the cuff remark that the Doctor made to Clyde, kind of like a joke. Part of the purpose of this post was to address those classic Master episodes. As for ruling out DW history “because it’s convenient,” well, actually the problem is it’s inconvenient. As I mention above, the revered producers of the past were just making it up as they went along, and DOCTOR WHO is notorious for its inconsistent cannon. (I’d love to hear your thoughts on the wildly inconsistent (U.N.I.T. dating”). Can it even be called “cannon”? In any case, Steven Moffat and the 11th Doctor have opened the door to a myriad of new possibilities by rebooting the universe and proving that time can be rewritten. As of the midpoint of series seven, how many times can the Doctor regenerate? Answer: No one knows. But it is fun to discuss/argue. Thanks for taking the time to comment. Simply put, it’s been clarified: 12 Regeneration Cycles. Matt Smith was the 11th Doctor, until the War Doctor – then Matt Smith was 12, and he was on his last regeneration, which is why he was able to live 300 years — no more regenerations. However, certain things point to more regenerations to come (other than the appearance of Capaldi). The drumming in the Master’s head (High Council calling) + The ageing Doctor + Handles + Oldest question + Amy’s wall crack + Clara’s plea + High Council + unique regeneration involving physically deageing & hallucinations = The High Council chose to renew his cycles for another go. Also, it is possible to steal someone else’s remaining regenerations, at least I would think it’s possible….because we know that regenerations can be given away (Let’s Kill Hitler). So stealing them may not be so difficult. Yes, the Master’s entire plan in the 1996 TV movie was to steal the Doctor’s remaining regenerations with the help of the Eye of Harmony. I haven’t seen anything pre-dating the reboot, except for a few of the original episodes a friend and I watched together, so I didn’t know anything about the Eye of Harmony. So thank you….at least you confirmed what I had been suspecting for some time — one CAN steal regenerations. Yeah, now it’s been made clear. But back in the day, when that was written, it was very much a hot-button question. Thanks for summarizing. I also want to apologize — when I read the article, I did not see the date. Had I realized you wrote it in 2010, I would have assumed you had your answer by now….sorry! !